Few CEOs have crafted as strong an identity for themselves as Zappos leader Tony Hsieh, who has earned a reputation for uniqueness due to his fondness for raving, Grey Goose vodka, and holding parades during the workday. It’s likely he would not have the high profile he does today, and perhaps never would have been successful in the first place had he tried to conceal his self-described “weirdness” from the world. This emphasis on individuality is something Hsieh tries to instill in employees at Zappos, where “Create fun and a little weirdness” is one of the Amazon-owned online shoe retailer’s 10 core values. 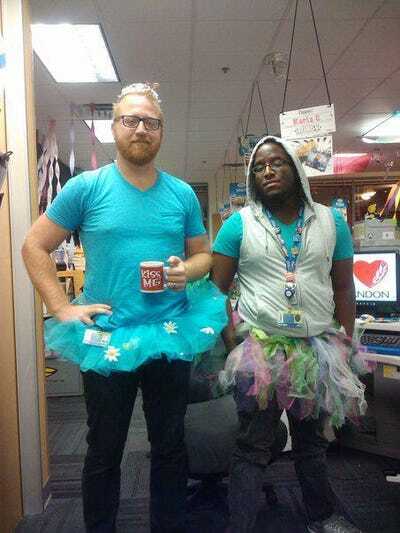 This value explains why the company encourages employees to wear tutus to work, hosts on-site “laughter yoga” classes, and even once brought a horse into the office to celebrate the Chinese New Year.